All things awards! Uttlesford Retailer of the Year! 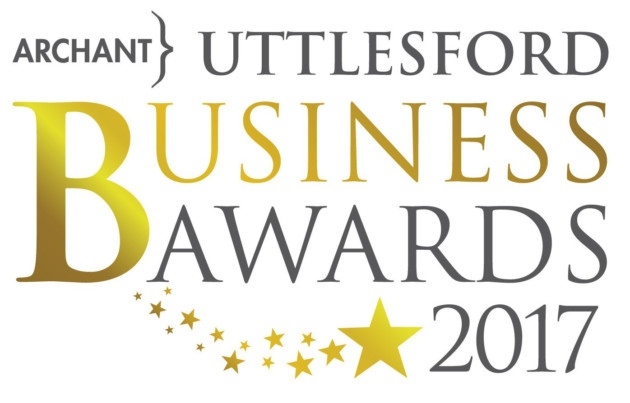 Earlier this week we were so excited to share the news that we are a finalist of the Uttlesford Bussiness Award under retailer of the year! The fact that this is a local award means to much to us as Saffron Walden has played such a large part in our journey. 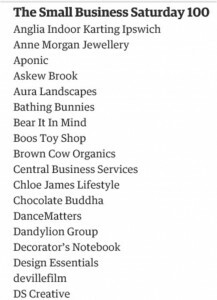 We have been nominated alongside other small businesses just like Tea Amo and there have also been some larger companies such as the Tourist Information, Costume Company, Waitrose and Saffron Screen, that have all been nominated too. We are so happy to have made it all the way to the finals, having been kindly nominated by the Saffron Walden Reporter, we are so excited to be part of such a great competition! Great British High street of the year Finalist! 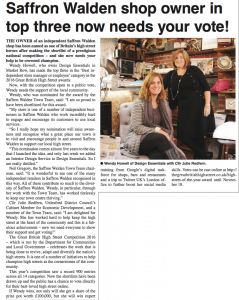 Such exciting times in Saffron Walden but especially here at Design Essentials as we are one of the Great British High street of the year Finalists! A few weeks ago Wendy was nominated as the best store manager for an independent shop in Saffron Walden and of course as no surprise, she’s gone straight into the finals! As a town Saffron Walden has been a hub of attention recently, just this Friday gone Saffron Walden was featured in The Sunday Times and quoted as a “charming, supremely English medieval market town”. Read the full article here. We also have been in the local newspaper recently, read about us below. Alongside the great success of the town we also have a more personal celebration going on at the shop. 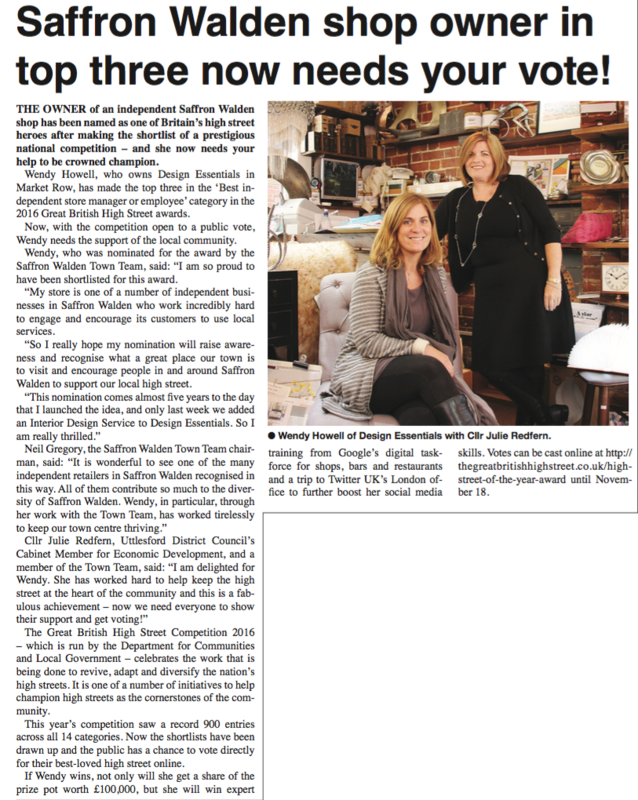 With Wendy’s achievements we really want to make the most of her efforts and win our category, hopefully getting even more recognition for the whole of Saffron Walden. Make sure to vote for her EVERY DAY here. The Great British High Street organisation strive to recognise and celebrate local achievements to restore national pride in our high streets and support the formation of a local business-led partnership for every high street where you operate. Here at Design Essentials we couldn’t agree more and hope all the businesses in Saffron Walden feel the same way about making our high street the best it can be. We are so excited to be a part of this scheme and really could use as many of your votes as possible to win the independent shop award. We have tried so hard with our new collection and work closely beside other local shops to create a friendly shopping environment. We are open on Sundays and hope to get even more businesses to open with us so you can get that extra day of shopping in on the run up to Christmas. Don’t forget to vote for us everyday up until the 18th of November! 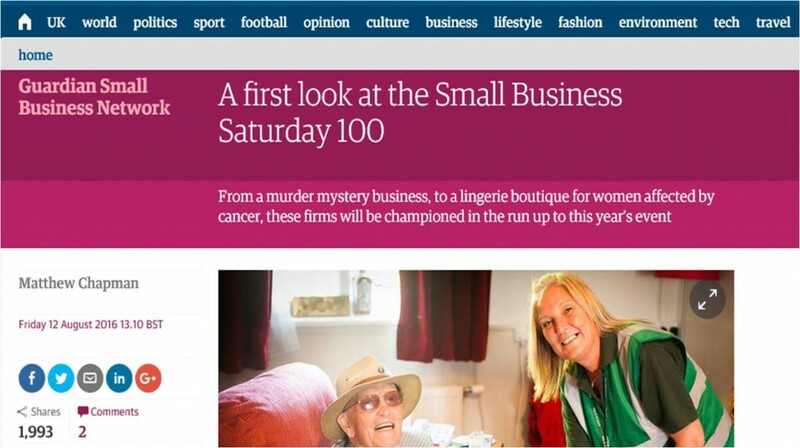 We’re delighted to announce we’ve been featured in The Guardian in their ‘A first look at the Small Business Saturday 100’ article. Small Business Saturday, a non-profit organisation that aims to promote local businesses, will be using its social media channels to promote one small business a week starting from this weekend until Small Business Saturday itself, which this year is on December 3rd. Keep your eyes peeled for the announcement of our featured day – we can’t wait to share it with you all! 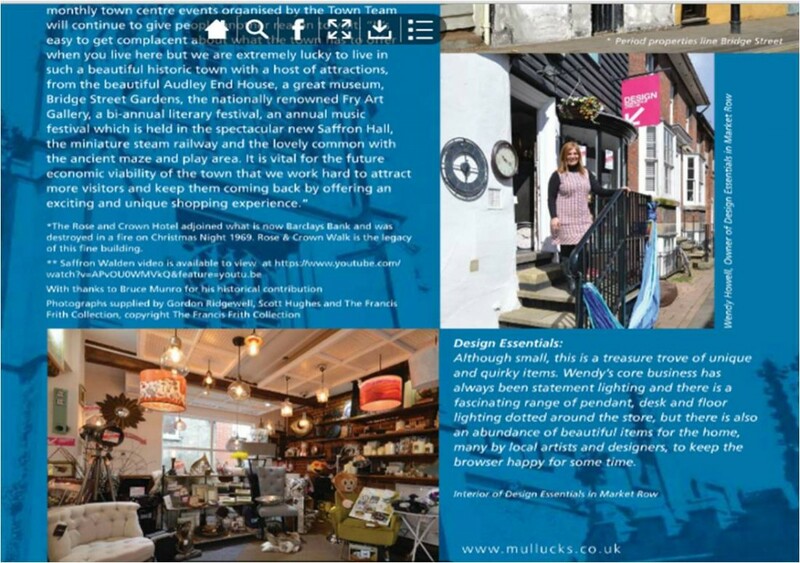 Design Essentials was absolutely delighted to be featured in the recent edition of the annual Mullucks Wells Property Magazine. 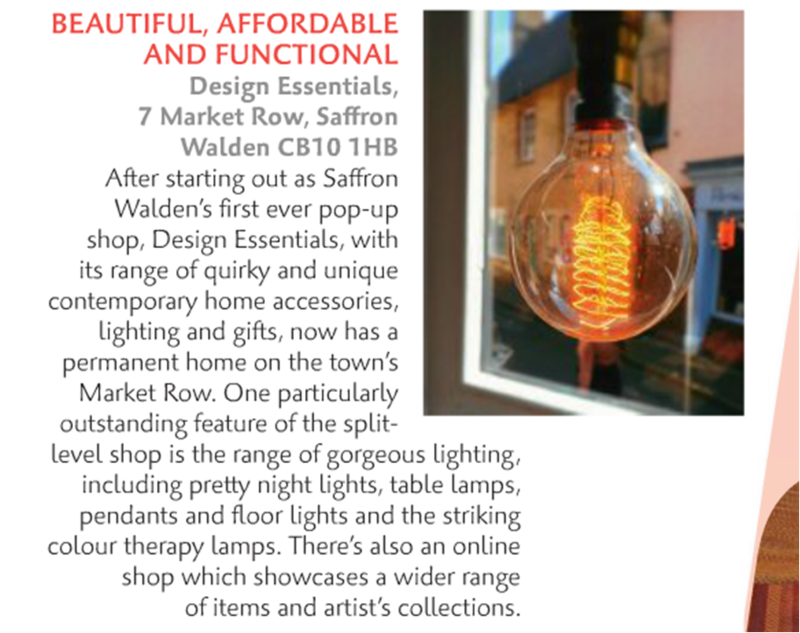 We were featured on page 16 as part of a double page spread in the “Spotlight on Saffron Walden” feature, which explored the way a historical market town has developed into a charming hot-spot for unique shopping experiences. Read the full piece online here. Mullucks Wells described the Design Essentials store as ‘a treasure trove of unique and quirky items’, which we reckon captures our style pretty well! Thanks once again to Mullucks Wells for the feature, and keep your eyes peeled on our blog for more Design Essentials appearances in the press. Design Essentials were recently featured in an article on the website of Hope House Press, one of the newest ranges we are excited to have had in at the shop. Well, we can now confirm that we’re very happy to have Hope House Press on the shelves of our shop – they’ve done brilliantly on Not On The Highstreet and our customers have been loving their designs too! 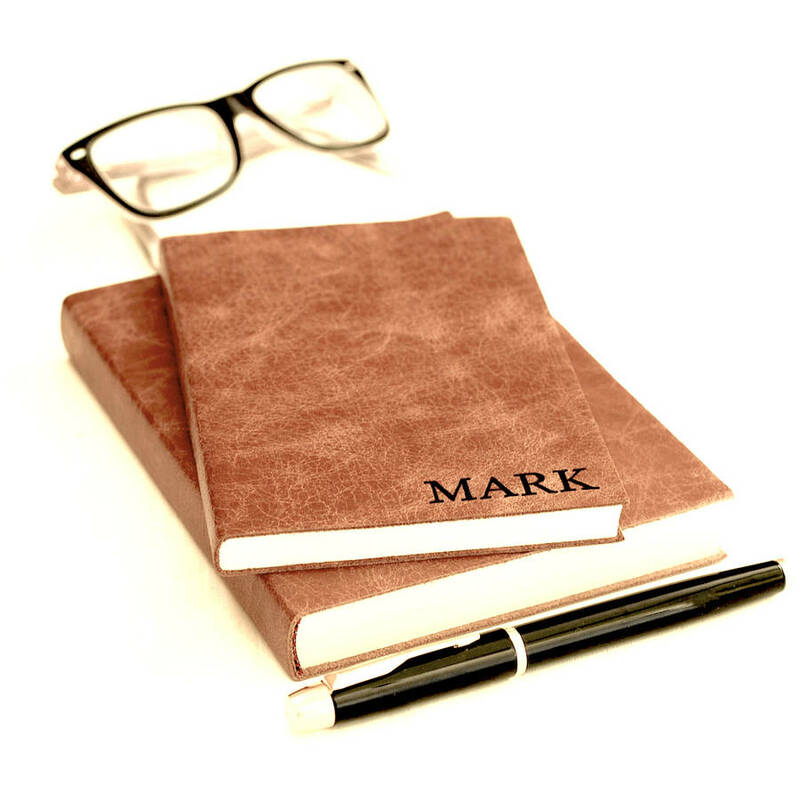 Read the Hope House Press blog over on their website here. Another month, another feature… Local magazines are absolutely loving our lighting at the moment, as Design Essentials have just been featured in the May edition of Velvet Magazine. 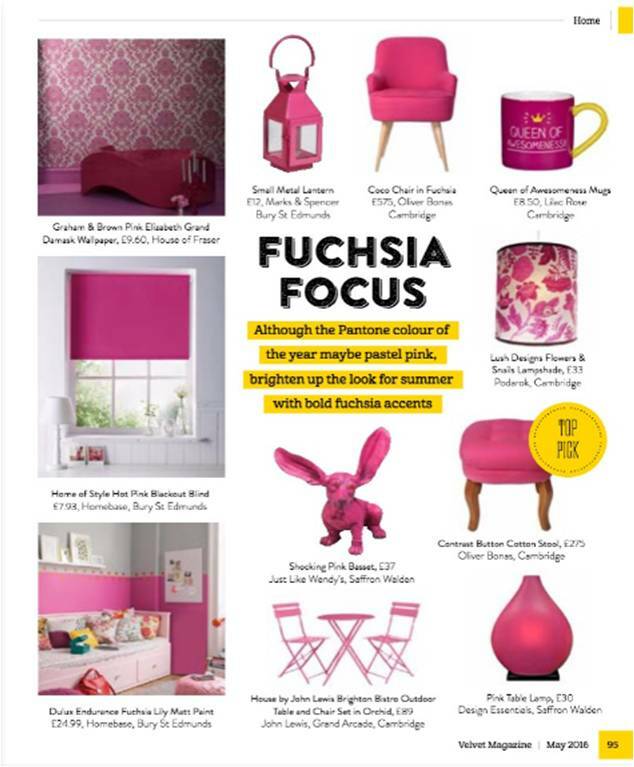 Our super popular pink colour therapy lamp was included in their ‘Fuchsia Focus’ collection alongside other hot pink interiors and gift ideas from retailers in the Cambridgeshire area. See the full article below, or to read this month’s edition of the magazine click here. 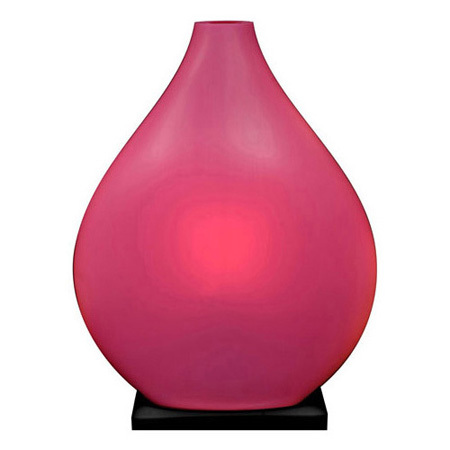 Shop our colour therapy lamp online for just £30 here. Thanks so much for the feature, Velvet Mag – we love it! We are delighted to reveal that Design Essentials has been featured in this month’s edition of Cambridge Magazine. 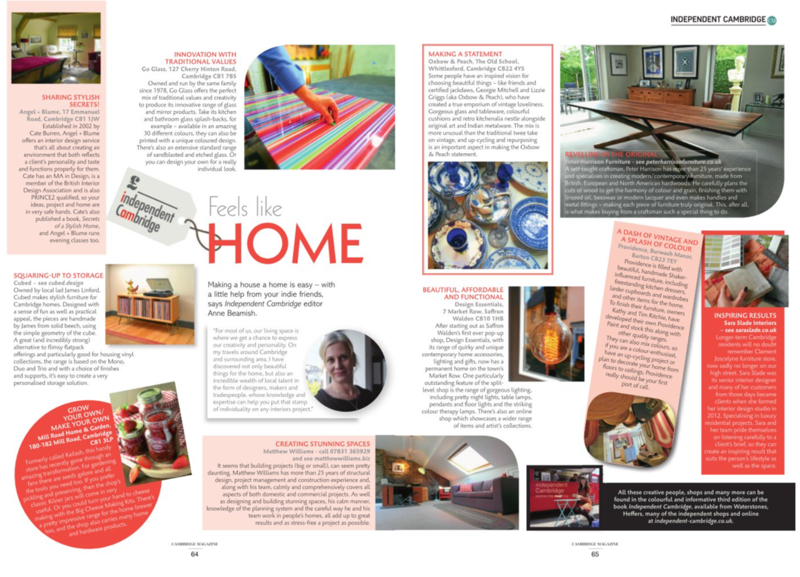 We appear in the magazine’s Independent Cambridge retail feature for a review on home interiors. See the double page spread below. 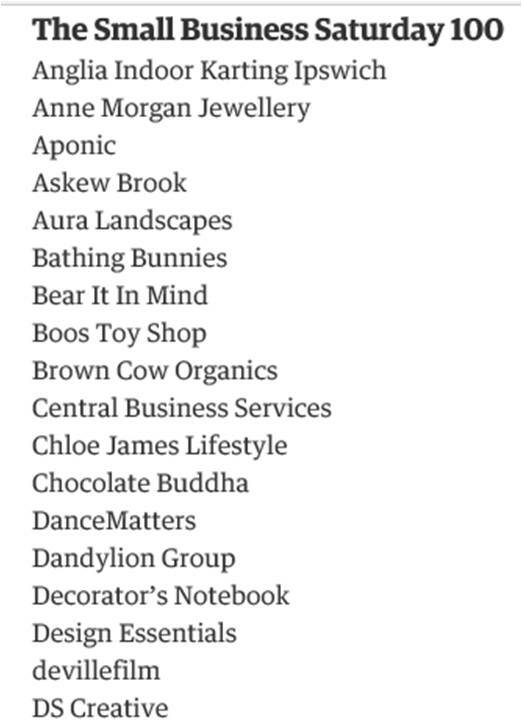 Anne Beamish (@IndieCamb), one of the creators of the Independent shopping guide, penned the write-up. Thanks Anne – we love the fab photo of one of our vintage-style naked pendant lightbulbs. 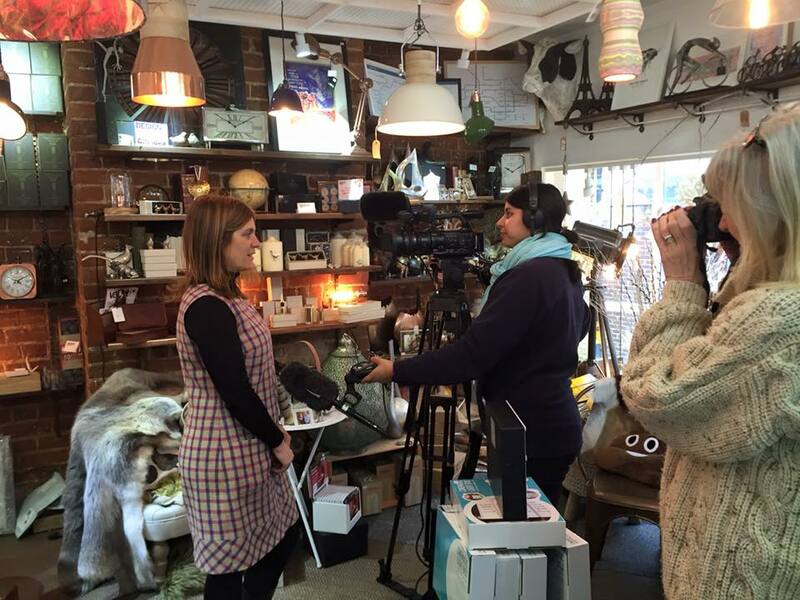 Earlier in the month, Wendy was interviewed in the Design Essentials shop by ITV News Anglia as part of the Small Business Saturday national campaign. Small Business Saturday takes place annually on the first shopping Saturday of the year, and aims to improve the success of small businesses throughout the UK. To find out more about Small Business Saturday, visit their website here. 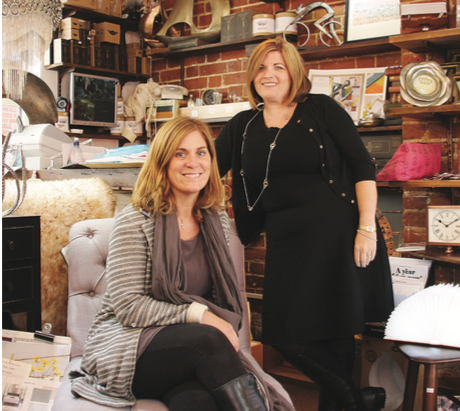 Wendy and a Design Essentials customer were both interviewed as part of the campaign, and asked how they felt Saffron Walden was embracing it. Wendy was discussing the fact that for every £1 spent locally in an independent local shop, 70p goes back into the local ecomomy, whereas only as little as 5p goes back into the community if people shop online instead. You can watch Wendy’s interview on the ITV website here. 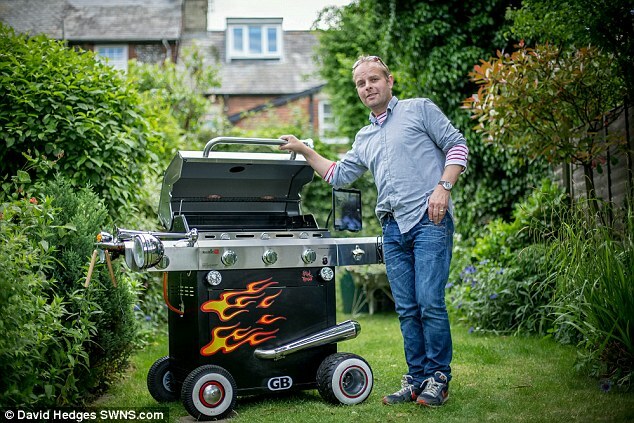 Designer Oliver Boyd, whose lighting designs we featured here at the shop during the summer of 2014, has recently designed a ‘pimped up’ barbecue for supermarket giants ASDA. Very different to Oliver’s usual quirky lighting pieces, the barbecue features gadgets such as flashing lights, a sound system and even a selfie stick! Oliver’s barbecue has been all over the news, and even made it onto the Mail Online. Congratulations Oliver! To read the full article on the Mail Online website, click here. To revisit Oliver’s time here at Design Essentials, have a read of our conversation with him over on our blog.